Nearly 60,000 neighbors in the Food Bank of Lincoln’s 16-county service area are food insecure. 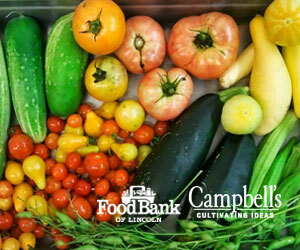 Campbell’s Nurseries and Garden Center, Inc. partners with the Food Bank annually from June through early autumn to collect fresh produce for low-income families. Homegrown goods donated through this program will benefit the Food Bank of Lincoln’s programs and agency partner network.